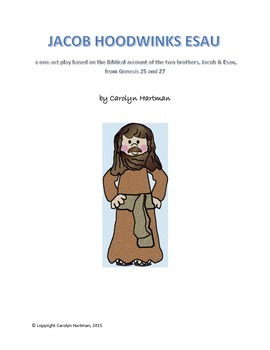 Jacob Hoodwinks Esau is an amusing version of the story from Genesis. 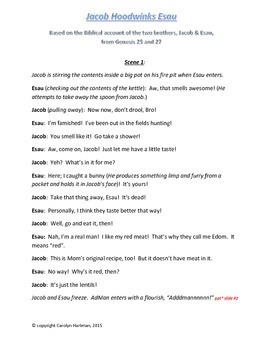 Includes four characters, and 3 choristers! Audience involvement is described and encouraged. Accompanying power point is available! Fun activity for Vacation Bible School, Sunday School, and youth activities. Also appropriate for use by worship teams.